What is the Difference between "Quiet Time" and "Bible Study"? What is the Difference between "Quiet Time" and "Bible Study"? What is the Difference between “Quiet Time” and “Bible Study”? Spending time dedicated to God helps believers grow in their Christian walk. People often use the term “daily devotion” or “quiet time” to describe this practice. This is a time where a believer connects with God, “to adore Him, to behold Him, to hear what He has to say to us through scripture, and to respond in prayer as God renews and transforms us,” redeemer.com writes. So the “quiet time” is an intimate moment where God speaks right through your heart. He reveals Himself to you in a deeper and much personal way. So studying the Bible leads to boosting a believer’s knowledge of the Scripture. It goes way beyond simply reading the Word. Jesuswalk.com also suggested that those who wish to study the Bible should use other resources like Bible dictionary, concordance, commentary and atlas, to fully understand the context of the Word that they are reading. In comparison, the “quiet time” is an intimate communion with God which only involves your Bible, your heart, and the Holy Spirit. 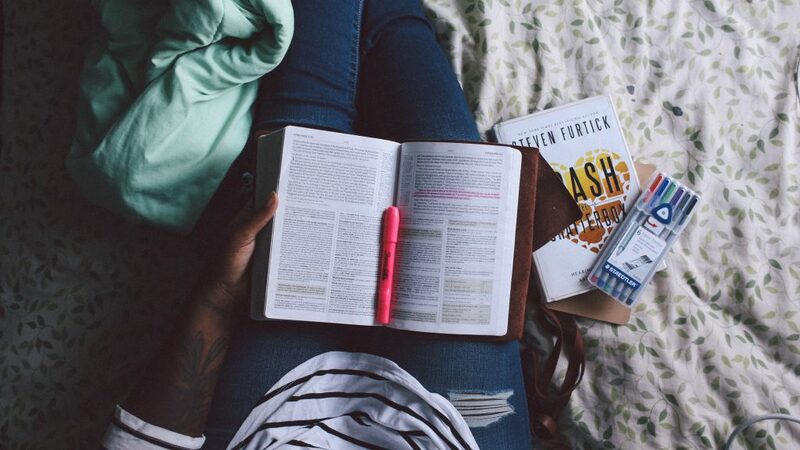 THe personal Bible study however, involves not just the Bible but also several resources to have a deeper or more “intellectual” understanding of the Scripture. “Quiet times” and Bible studies are both important to one’s spiritual growth because they cultivate different aspects of a believer’s relationship with God. If you are a believer of Jesus, then strive to grow not just in grace but also in knowledge that you may be prepared whenever people asks you for a reason for the hope and faith you profess (1 Peter 3:15). Do you have any prayer requests? Call us at 737-0700, if you are in Metro Manila. If you are outside Metro Manila or the Philippines, you can contact us through the CBN Asia Prayer Center.